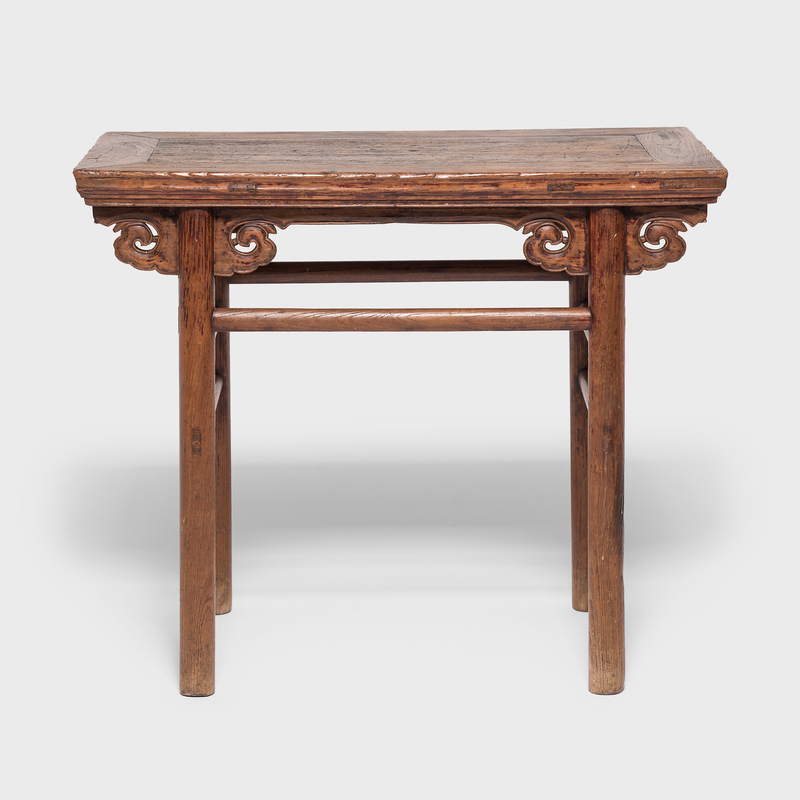 W: 72.75" D: 13.5" H: 35.25"
A century and a half ago this elm wood table probably sat in the home of a Qing Dynasty family, used as their ancestral altar. 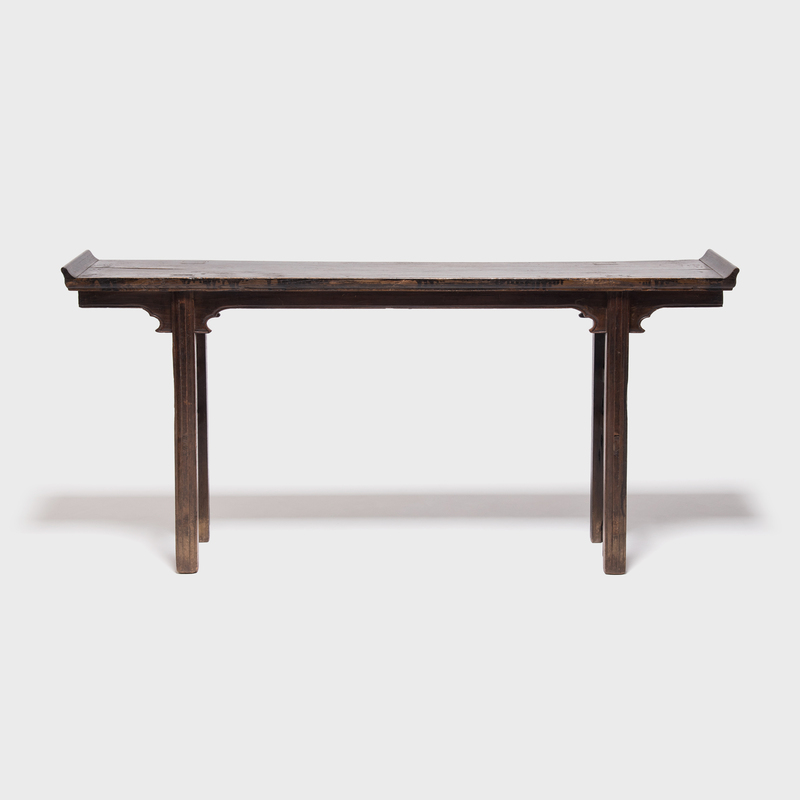 The clean lines would have complimented the classic Chinese architecture of the home, but the elegant simplicity makes this table timeless. 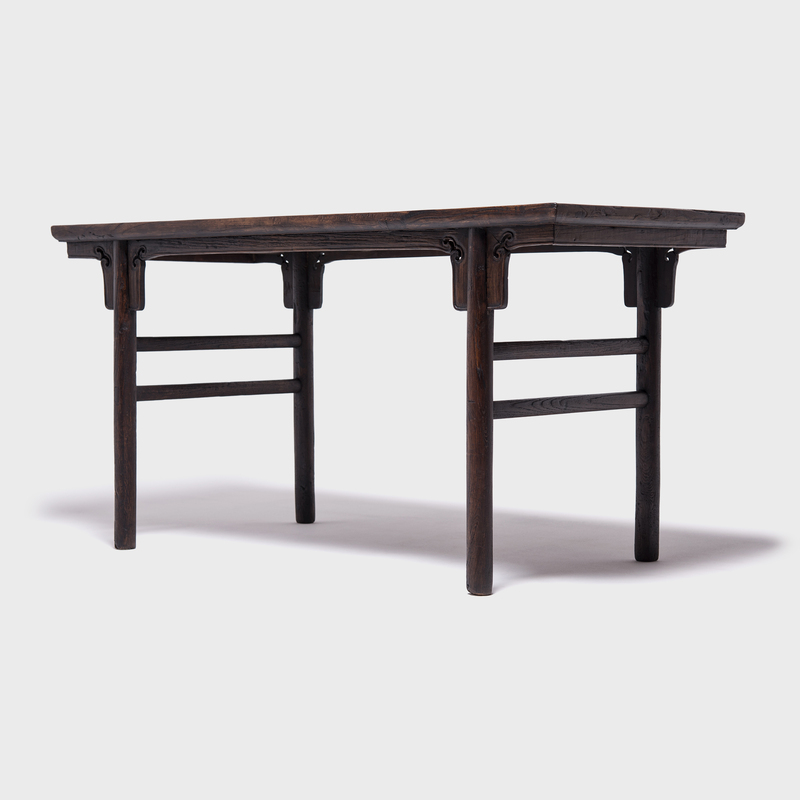 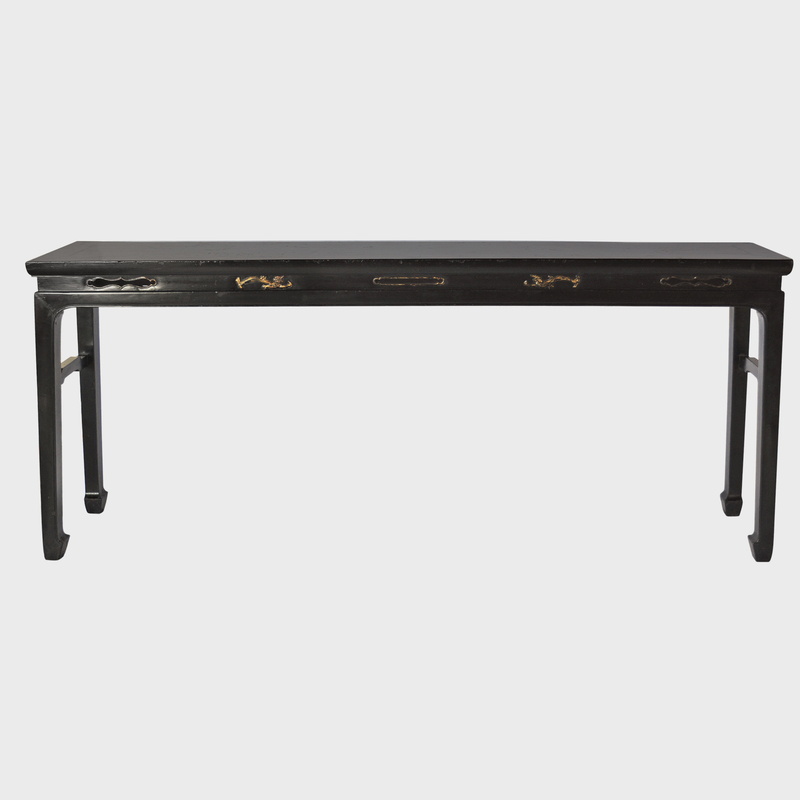 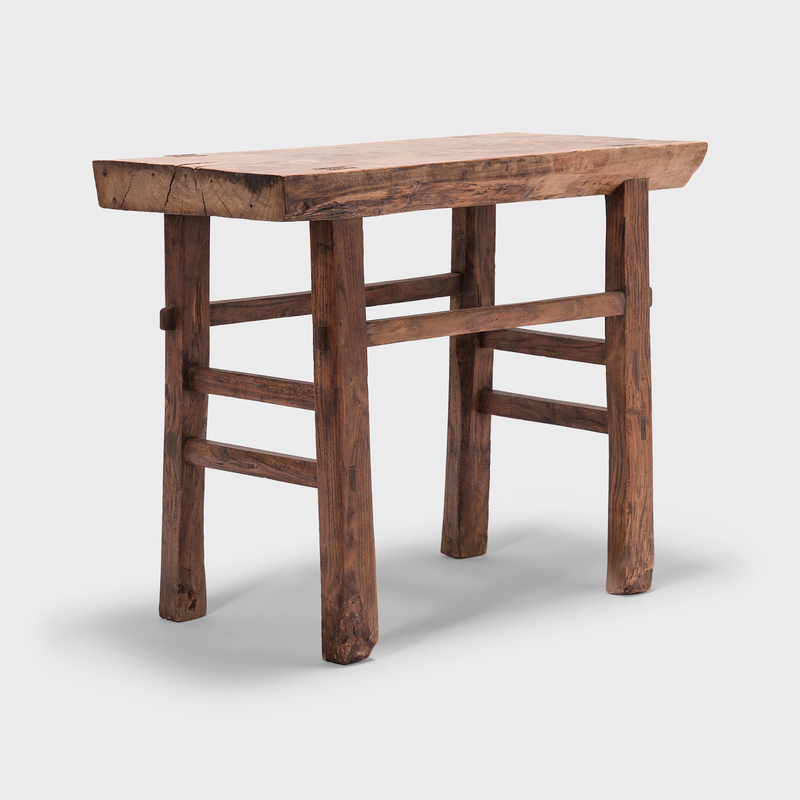 It was made in China’s Shanxi province by an artisan who was a master of his craft, as shown by the everted ends, tapered legs, and lacquered finish.